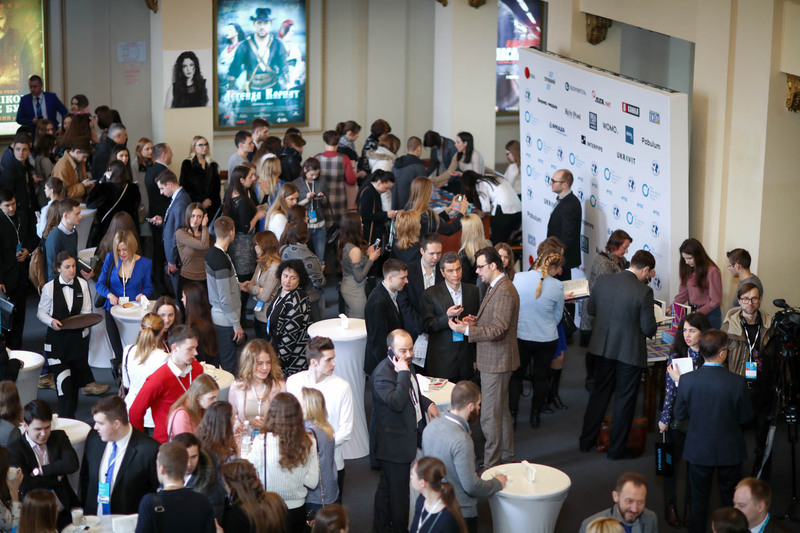 To change “the specialization” of Ukraine through a new economic policy – that’s the success recipe recommended to Ukraine by the Ukrainian Association for the Club of Rome, international economists and Ukrainian businesspeople at the Young Scientists Conference “Economic Future of Ukraine”. 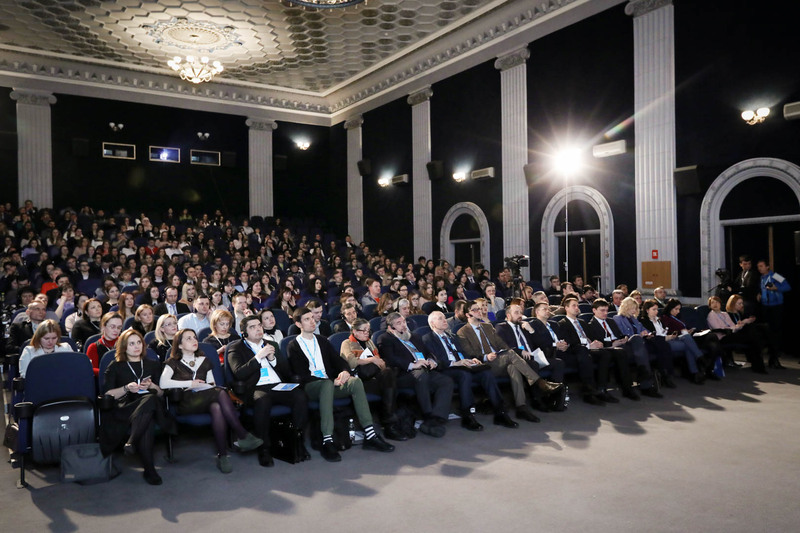 The event co-organized by the Ukrainian Association for the Club of Rome and the Kyiv International Economic Forum took place at the Kyiv Cinema Hall under the support of ARCADA Bank PJSC and UKRAVIT Group of Companies and brought together 350 economics students and professors from leading universities. The economy of the future should strive for sustainability and multiplication of overall welfare, not personal interest – stresses the Club of Rome. “Initiate a broad discussion about the goals of society. Move beyond the GDP by complimenting it with real welfare indicators. Rethink science and education with the purpose of helping people to understand how things are interconnected. Account fully the natural capital in all economic decisions. Abolish environmentally harmful subsidies and provide stable investment conditions for renewable energy. Take climate change seriously. Move towards a circular economy” advises Anders Wijkman, Co-President of the Club of Rome, co-author of the 50th anniversary report “Come On!” “The real problem is whether there is an added value and what it is. That is what is key in the development of the Ukrainian economy. 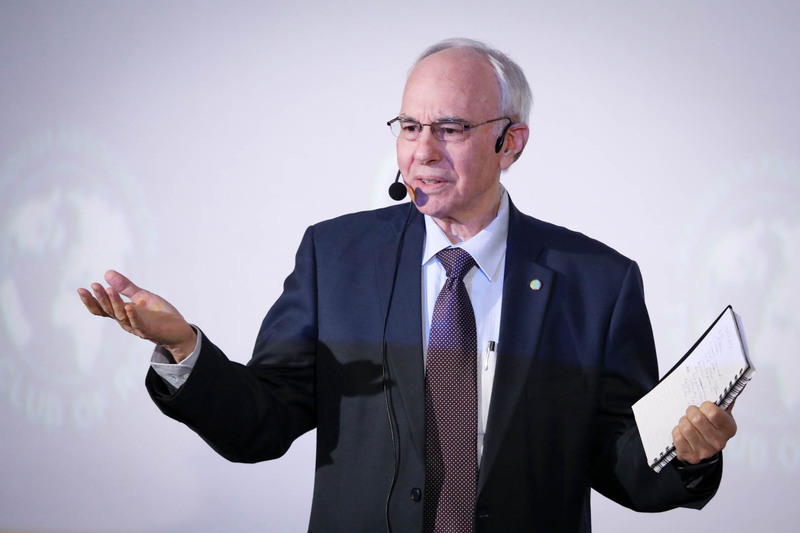 Real opportunities depend on whether your standard of living will rise in the future”, stresses Garry Jacobs, full member of the Club of Rome, Chairman of the Board and CEO of World University Consortium, CEO of the World Academy of Art & Science. Members of this authoritative international organization are convinced that neoclassical economics is reasonable if isolated from natural limits. In real life the reasonableness of its assumptions is doubtful. Therefore, ecological economics as an alternative paradigm comes to the fore. “We should transit from cowboy economics to spaceship economics. A cowboy in the prairie does not need to be concerned about the scarcity of the resources and recycling of the waste he produces. It is the model when the resources exploited are limitless, and the ability to dispose the waste is unrestrained. It is quite contrary when the astronauts are on the spaceship. They need a full circle for everything. They need to grow everything on their own, to recycle waste in order to reuse it later. In fact, these are two extreme opposites. In this sense we have approached the economics of spaceship, Earth being one in this context. That’s why we need to consider all the physical limits that our planet has”, explained Dr. Viktor Vovk, associate member of the Club of Rome, Member of Parliament of Ukraine (Radical Party). In spite of that Ukraine continues to ruthlessly exhaust its resources in exchange for poverty. “Two thirds of the European export is manufactured products, while two thirds of the Ukrainian export is raw materials and low processed products. We are 5-7 times behind the EU and the US and it is not a coincidence, it is not the deficit of the IMF loans and not the lack of some anti-corruption agencies. We are simply being used as a raw material colony for its cheap resources, talented people and even money. Ukraine’s GDP is 95% dependent on global commodity prices – it is an “iron curtain” from economic growth. 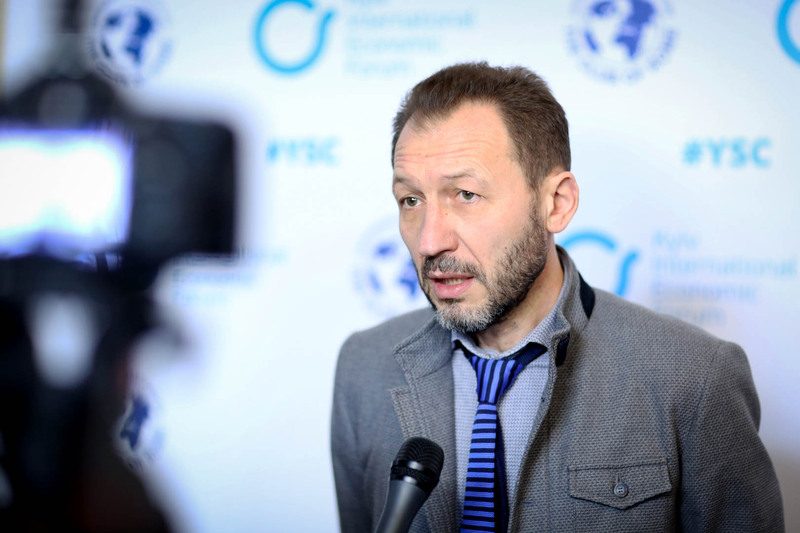 Ukraine needs to change its specialization and to turn from a raw material exporter to a modern manufacturer”, stated Viktor Halasiuk, President of the Ukrainian Association for the Club if Rome, Member of Parliament of Ukraine (Radical Party). 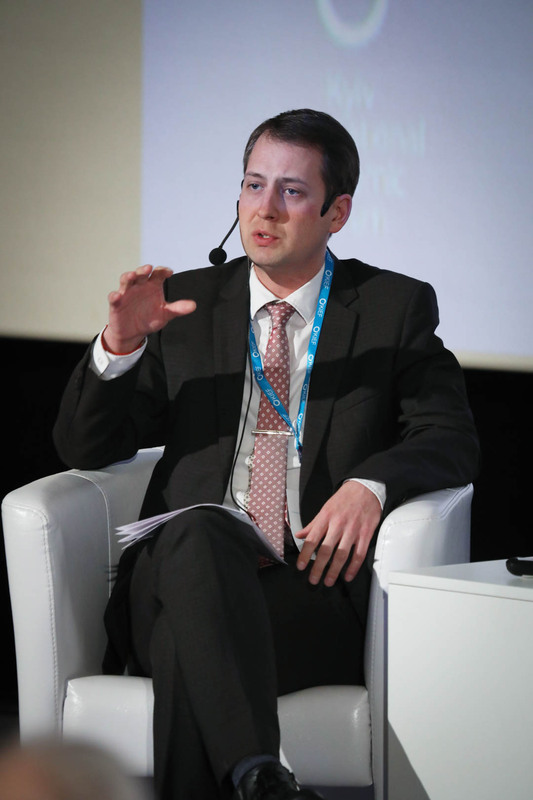 “Ukraine is not prepared for the future – a latest report from Davos. It is not among those 25 countries which according to the level of their manufacturing development are ready for the Forth Industrial Revolution. We are even not “up for that”. 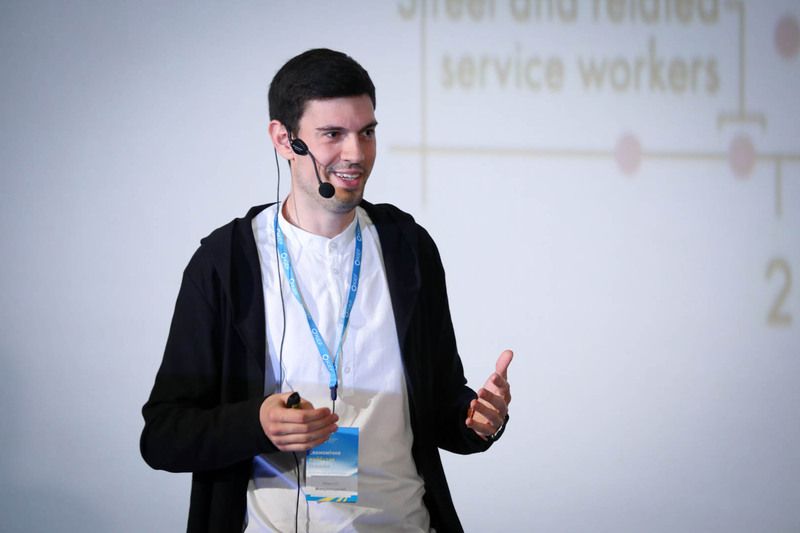 We are at the brink of a large-scale migration”, adds Oleksii Zhmerenetsky, Coordinator of KOLO Business Club, Founder of Charter of Future Public Platform, when presenting the technology development curve and a set of future careers, which young people should pay particular attention to. The erroneous choice of the economic policy in our country is also echoed by renowned international experts. “You should admit that plan A for Ukraine: to behave well and sign everything that the EU says, has failed. Now you need a plan B, but before you can propose it to the world, you should find consensus within your own country. Thanks to your strategic planning you will be able to persuade the EU and the US that the poverty of Ukraine is not in their interests. Very few people actually read the EU agreement, but you have signed it, so you are obliged to execute it. 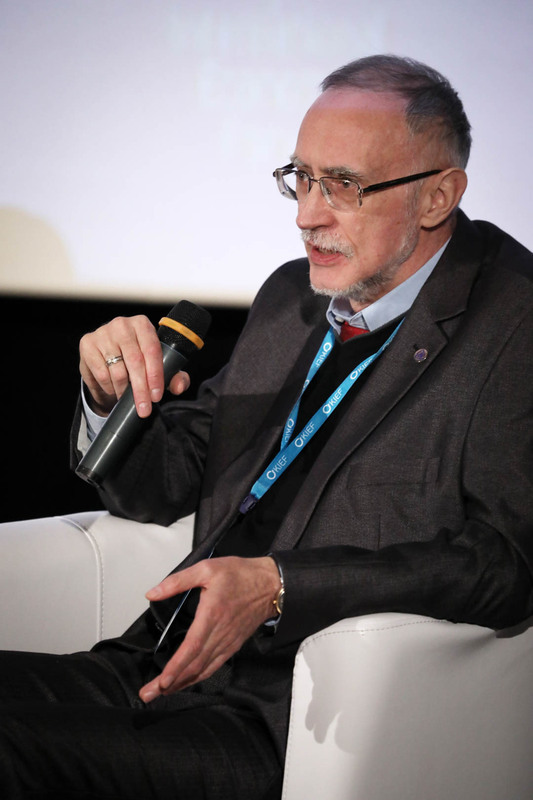 It was unfair”, stressed Prof. Erik Reinert, founder of the Other Canon Foundation, Chair of the Consultative Council at the Center for Market Economy (CMD-Ukraine), Ph.D. (Norway). “It is crucially important to initiate and implement the policy of tariff shelter revision and modernization, taking into account the industrial model of our economy. Ukraine is on the verge of losing its scientific and technological potential. This should be prevented by defining the priorities of industrial and export policies on the highest legislative level. The priorities should include aerospace, machine building, military manufacturing, and pharmaceutical industries. 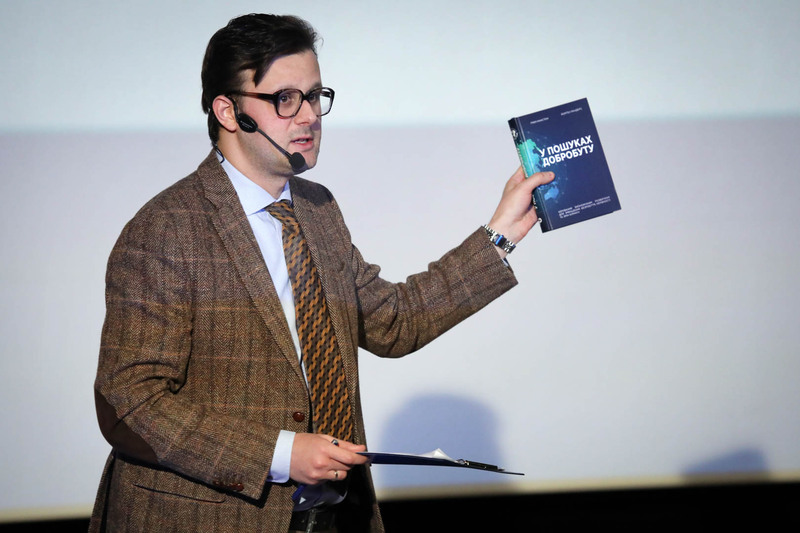 The highest priority is the training of highly-qualified human resources”, ­said Ihor Huzhva, the Lead Expert at the think tank CMD-Ukraine, Ph.D.
“The future lies in science – we will never succeed to transform Ukraine into a non-raw material country without science. Resources tend to deplete. 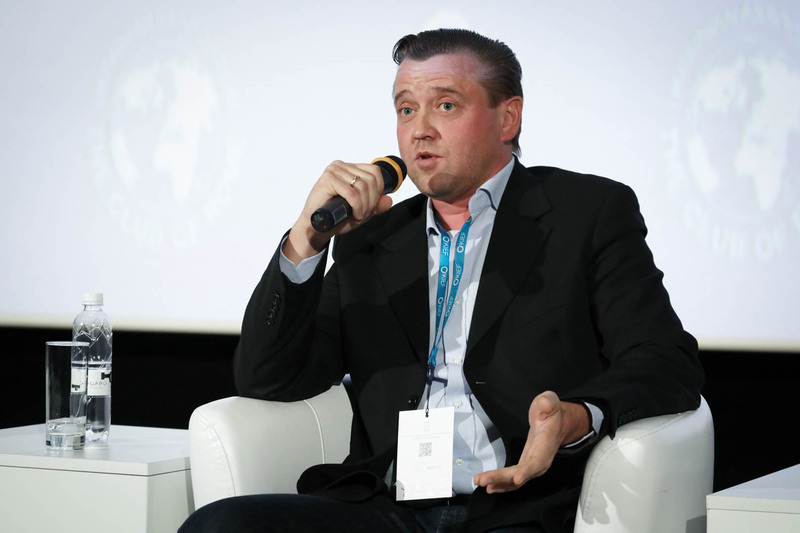 Therefore, we should learn how to turn what we grow into everything what we need”, said Vitalii Ilchenko, Owner of the UKRAVIT Group of Companies. Speakers stressed out the importance to establish institutions of development in Ukraine. “Without them it is impossible to: implement key priorities on changing the model of economy; conduct reindustrialization and modernization of Ukrainian enterprises; ensure competitiveness of Ukrainian producers of goods and services on the global market; enhance access to finance for small and medium-sized businesses; produce and export high-tech innovative products of a long production cycle; modernize infrastructure; implement large-scale financial assistance programs such as Marshall Plan”. “International institutions of development operate in Ukraine but in the interests of those who gave them a mandate to work. They sometimes happen not to meet national interests of the hosting country since first they set the requirements and only after they allocate the money. 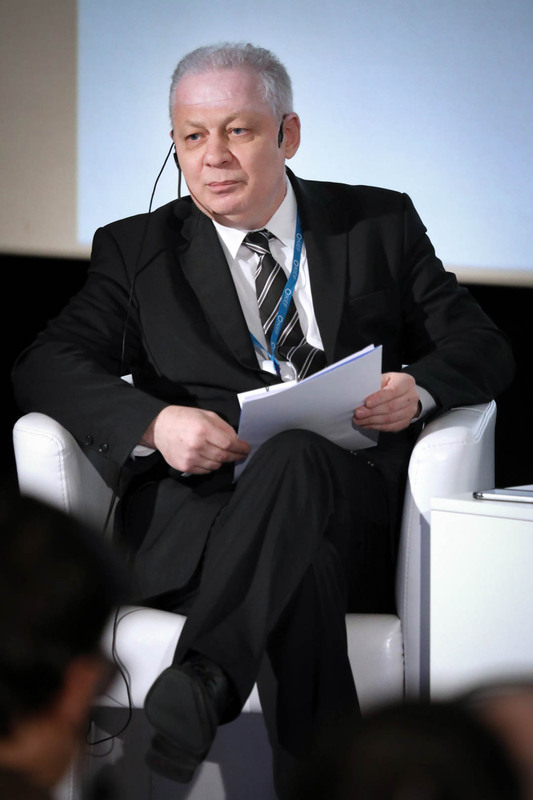 If the country does not have its own development policy framework – there is no demand for national institutions of development”, explained Anatoliy Maksyuta, Chairman of the Board of the Ukrainian Association for the Club of Rome, Honored Economist of Ukraine, First Deputy Minister of Economy of Ukraine (2005-2007, 2008-2011, 2012-2014), Ph.D. He also recalled the fact that Ministry for Economic Development and Trade of Ukraine has not managed to launch Export Credit Agency so far. “When a new project is presented to the Ministry, they say “I cannot”. If we say to ourselves “I can”, we will be able to increase GDP 4 times within 20 years. 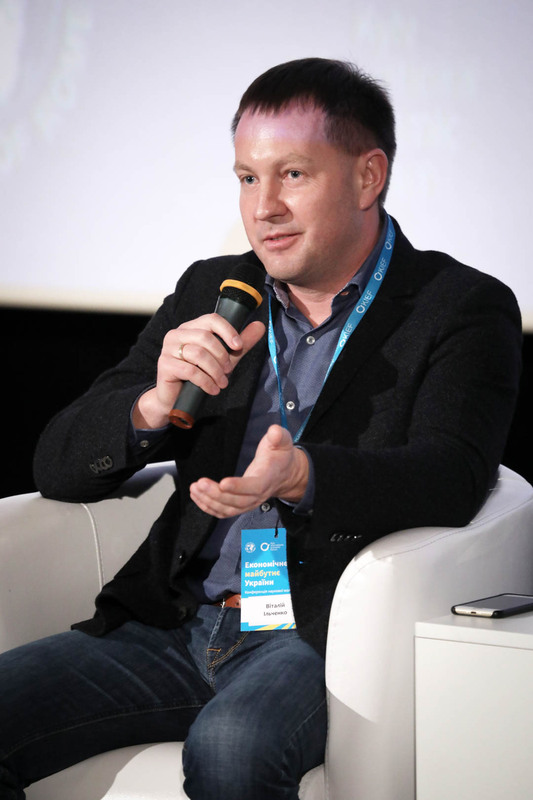 Although, given the immigration of millions of Ukrainians, this figure will be difficult to achieve”, commented Volodymyr Panchenko, Director of the Dnipro Development Agency, Ph.D.
“Invisible hand” of the market does not work in the infant economies, and the Ukrainian economy is one of those. It is like to let the infant out on the road, telling him “go and compete – cross the street”. Our media also distorted the very notion of “deregulation”. In fact, it is not about the destruction of bureaucracy – these are different things. On the contrary, infant economies require regulatory policies, including when it comes to choosing the country’s specialization”. “It is impossible to make a shift from the raw material economy to the innovative one without recovery of the industry”, added Zhanna Kryuchkova, Founder and Managing Partner of Jansen Capital Management and Member of Board of Stikon Ltd. construction company. “The Parliament of Ukraine introduced a ban on metal scrap export. Due to this initiative, Ukraine has received more metal; Ukrainians have earned more money; and private sector has paid more taxes to the State Budget of Ukraine. 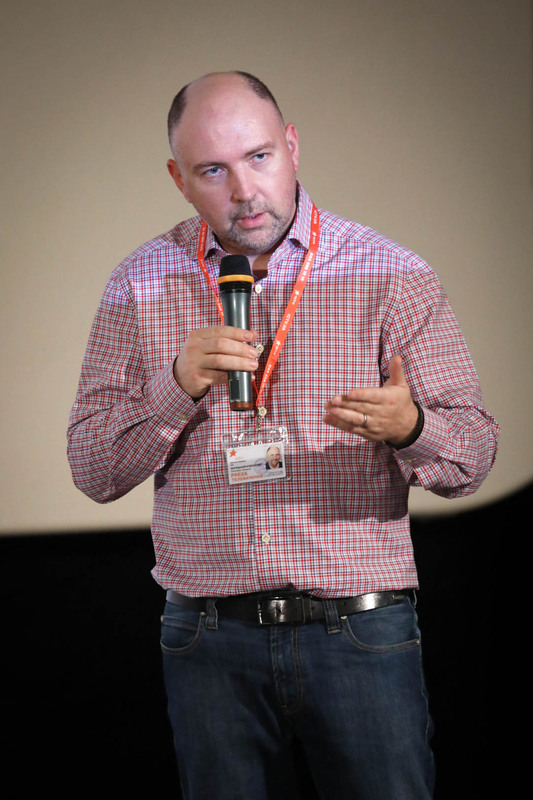 If not for this legislation, we would continue exporting metal scrap abroad; shadow business would thrive – we would continue seeing manhole covers stolen and wires cut; and Ukraine would never create new jobs nor would it receive additional tax revenues in the budget”, – said Oleksandr Bogutsky, Director-President of ICTV TV-channel. “The state can easily issue money to increase its spending on economic growth in order to return this money in the future in the form of tax revenue. So to say, to give a loan to its own economy. Some safety rules are needed here – the emission should not be used to buy imports or products with high import factor – in this case there will be foreign exchange risks and we can end up somewhere wrong. Second, both tax and regulatory policies should focus on ensuring that it is more profitable for businesses to operate legally than in the shadow and more profitable than to do transactions on currency exchange. It is not that difficult to achieve. I would like this to be taken into account, I would like Ukraine to develop a normal economic reformation program, so that the laws of real economy could work for the good of the country and not vice versa. 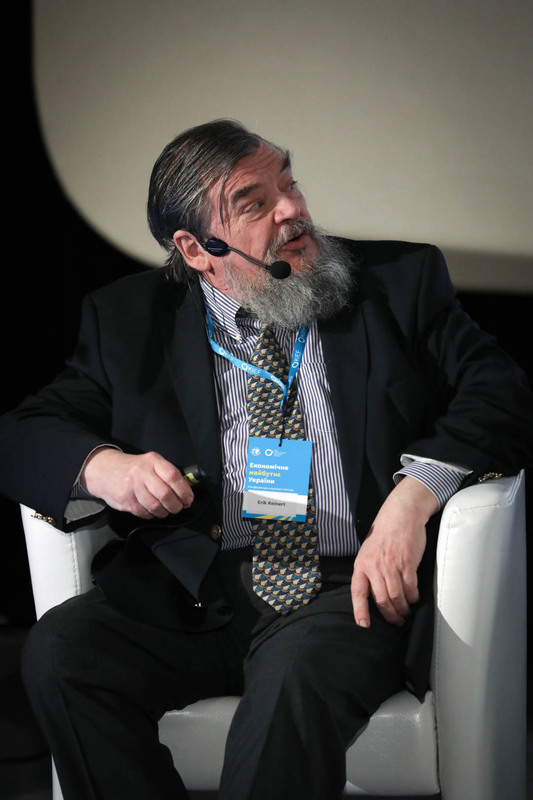 Then we will see a demographic boom, there will be no thoughts about leaving the country and everything will be good in general”, stressed Kostiantyn Palyvoda, Chairman of the Board of ARCADA Bank PJSC, member of the Board of the Ukrainian Association for the Club of Rome, Ph.D.
“To change the label ‘made in China’ to ‘made in Ukraine’ on any products on the shelves of the European supermarkets. 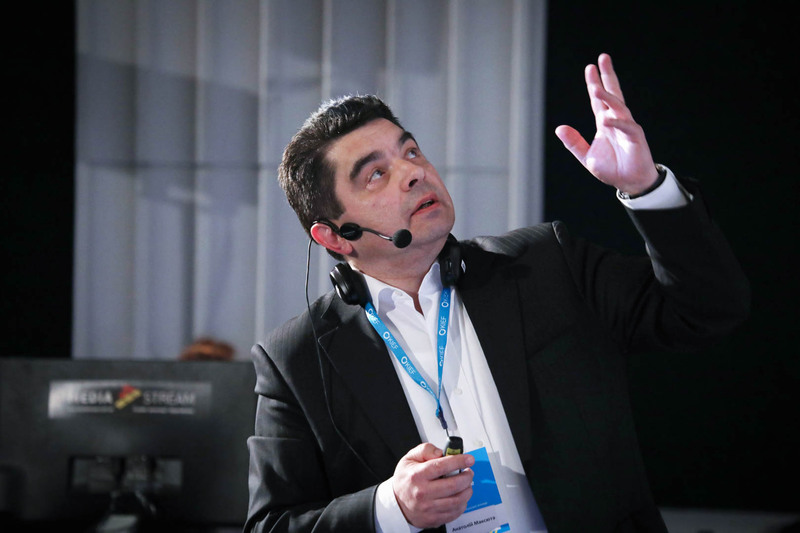 But you need to know how to sell,” – convinces Oleksander Gromyko, President of the Ukrainian Association of Electrical Goods Manufacturers, founder of the Saturn company. 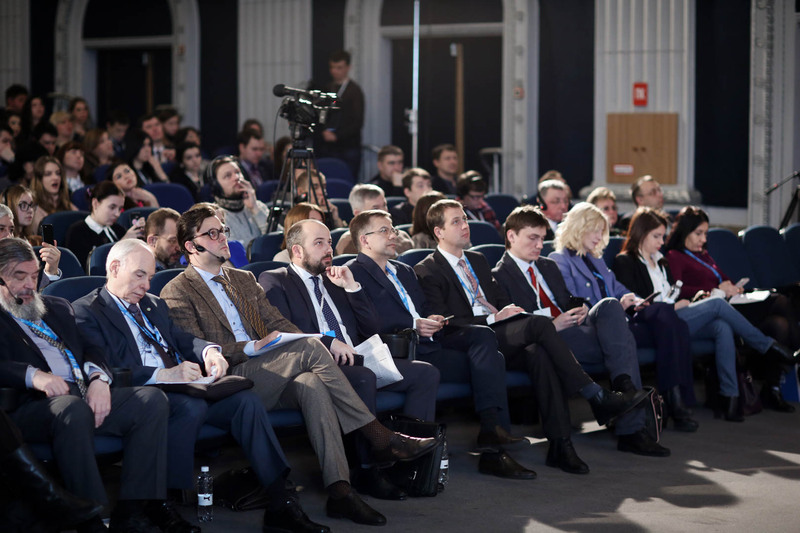 The participants of the conference agreed that despite the fact that Ukraine today is on the low economic orbit, the situation can be changed. A lot of countries made it, where a so called ‘economic miracle’ happened. To achieve economic growth, to raise the standard of living for the majority of the population and at the same time not to exhaust limited natural resources and not to harm the environment is a very ambitious, but absolutely real task. In the spirit of “Come On!”. We believe that Ukraine will be able to do it!